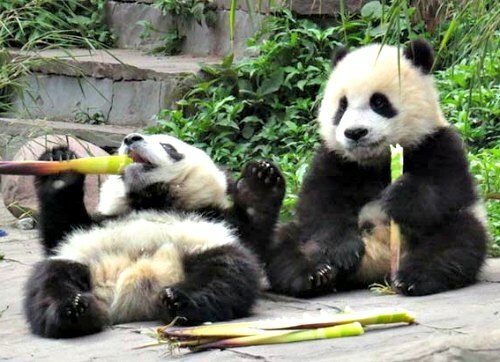 This is the perfect China Tour for families with older kids and teenagers, with the main highlight being a One Day Panda Keeper Program in Dujiangyan Panda Base. 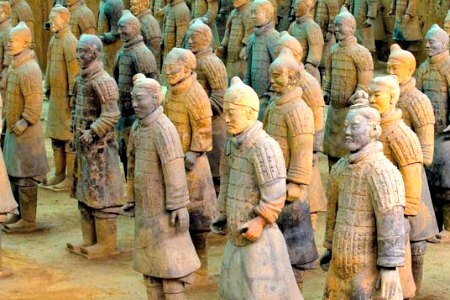 This tour is also packed with lots of activities like bike riding, rafting, hiking, trying out some kung-fu moves and it also features some of the most famous sites in China, the Forbidden City, the Great Wall and the Terracotta Warriors. 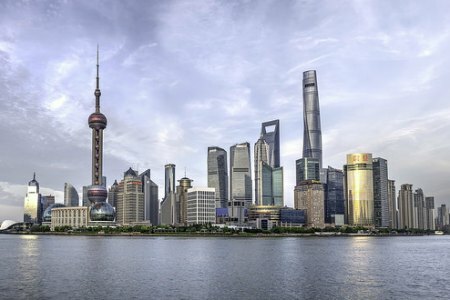 The tour ends in Shanghai, giving you an all-around perspective of traditional and ultra-modern China. 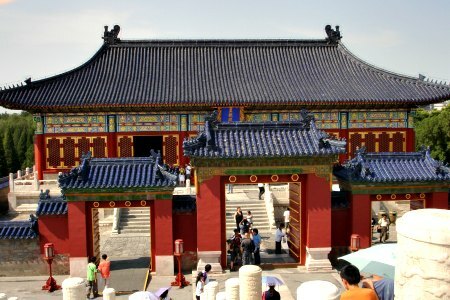 It has a balance of historical sites, fantastic landscapes, small traditional villages and the mega-cities. This tour is packed to the max covering as much as possible in the limited time. 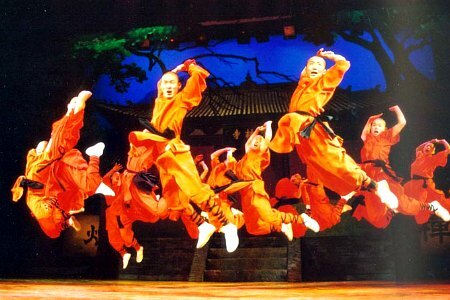 This is NOT a relaxed tour, you will be going non-stop and covering a lot of ground! Here are some guideline tour prices and suggested hotels for this tour. 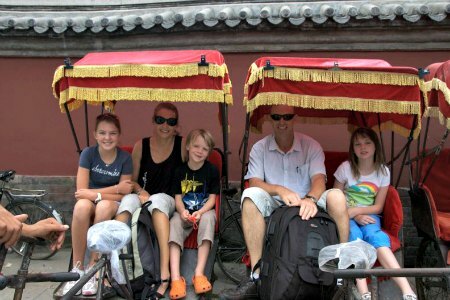 The tour is privately arranged for you and your family, there are no set departure dates, you choose when to go. 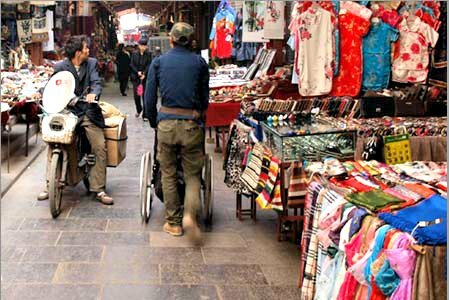 Here are the Day-by-Day Tour details for this fantastic Family China Tour With Panda Volunteer, remember you can add and subtract activities, destinations, extra days, etc. 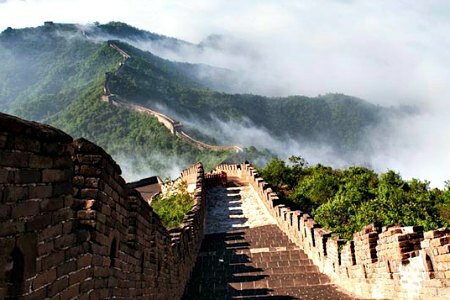 We start our tour in China with one of the country's most iconic sites: The Great Wall. We will be viting the Mutianyu Great Wall and ride the Cable Car up. The way down is of course with the Toboggan! 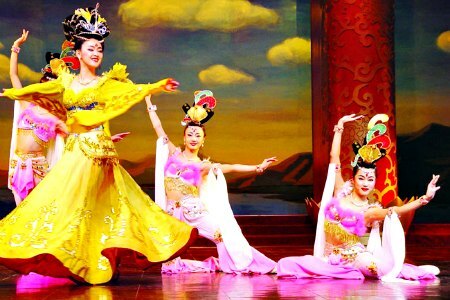 ... and end the day with a lovely and dazzling Tang Dynasty Dancing Show at the Grand New World Theatre. Prepare for cuteness overload and an unforgettable day. 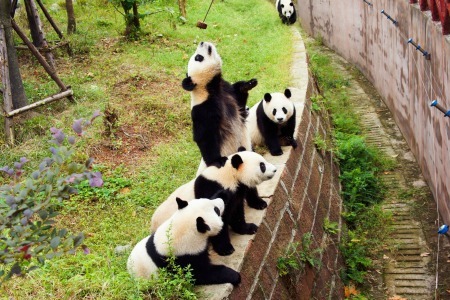 Today we head out to the Dujiangyan Panda Base where we will spend the day as volunteers on the Panda Keeper Program. Giant Pandas are endangered and unique to China. We will learn about them and help the carers with their chores, this is a very unique opportunity to get up close to these splendid animals. In order to volunteer, you should be in generally good health, so we advise you to bring a statement from your Doctor stating that you are in good health. 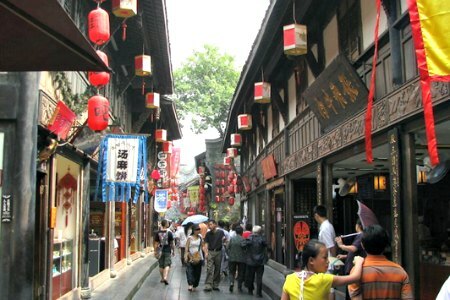 Today we spend time in the city of Chengdu, visiting Jinli Ancient Street, Kuanzhai Lane, Wenshu Temple rest of the day is free before our evening flight to Guilin. 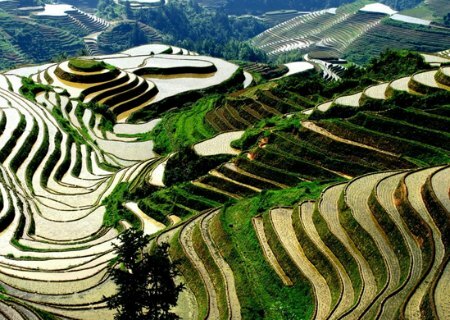 It is about a 2 and a half hour drive from Guilin to the legendary Longsheng Terraces. 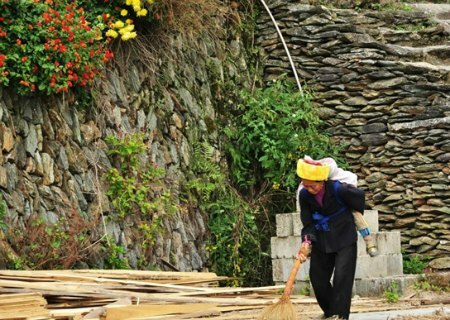 Here we will visit the Pingan terraced fields and the Village. Check-in our hotel in Longsheng. 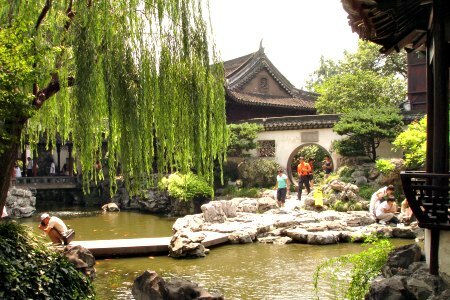 We drive back to Guilin at the end of the day, stopping at Jiangtou Village of Jiuwu Town on the way. 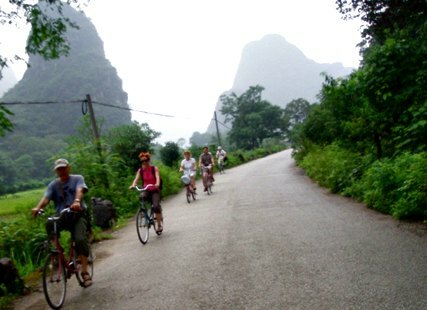 Today we drive to Yangshuo, about one-and-a-half hours and prepare to enjoy a great outing in the countryside, as we head out on our bikes and explore for about 2 - 3 hours. 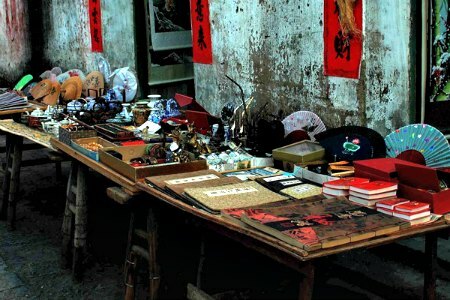 The morning will be spent with a visit to a local school in Yangshuo, the Fuli Ancient Town and the local market and to learn some Chinese kung fu moves. We head back to Guilin Airport for our evening flight to Shanghai. We leave Shanghai with such beautiful memories of China... Our tour comes to an end! 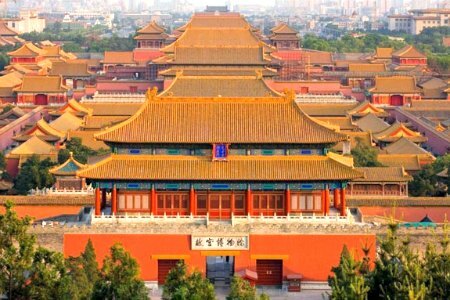 You can use the above tour to start tailoring your own adventure, it just gives you an idea of things to enjoy in some of the most popular sites in the country, the big cities, the historical sites, the countryside in what has to be the one of most beautiful and scenic parts of China... 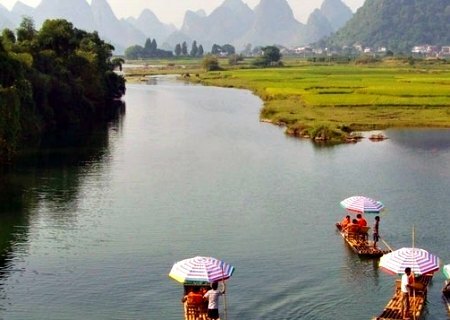 There are many more outdoor activities to do with older chidlren and teenagers specially in the Guilin/Yangshuo area. There is rock-climbing, kayaking, caving, longer bike rides and hikes, etc. You go at your own pace and enjoy! It includes all transfers and meals as specified above, private transportation for you and your group and a private guide throughout.